What are the Most Popular Motorcycle Paper Magazines in USA? Hog Magazine with the readership base of about 750,000 is rated to be the number one in the world, if not in the USA alone. It is not just the only feat, though. The next rated peers are way behind in the fans base. See the rating for the next big magazine, which is Cycle World. The number of regular readers for this one is just at the order of 237,170. It means you can rate the former to be the best in the world, without any doubts. Then comes in the Motorcyclist with a huge fans following base of more than 205,694. These are just ratings to show you that there are big circulations for these magazines. Other than that if, you are interested to see the real worth of the magazine then it is the content that you need to go through in each magazine mentioned above and in the other peer options like theAmerican Motorcyclist or the Rider and so forth. Even Quick Throttle Magazine has a decent readership exceeding more than 126,100. Close to that is the Dirt Rider with a circulation capacity exceeding 120,126. How about the Transworld Motocross? 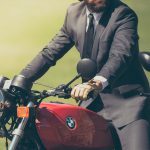 What is the top Popular Motorcycle Place on The Web? Bikebeandit is one of the most superior hubs meant for motorcycles alone in particular. Spares and accessories or related information of all the kind, can be tracked down almost instantly from the one stop shop online. Motosport.com is another site, where you have extensive information of the useful kind to locate your original parts and accessories for the vintage bikes, trendy bikes, and the limited editions from the premium brands. So, do not even hesitate to hire the best of the services from the premium experts without fail, now to get what you want for your motorcycle accessories. What is the best place on the web to get authentic bike updates today? Expo information, events information, OEM news updates, and many interesting facts for bike lovers, are posted on bikeexif.com. There are millions of diehard fans for some preeminent bikes around the world, today. Read related information from the American Iron Magazine. If not then you can follow the facts that are posted immediately in the best magazine of the world today as it is assumed to be by the local Americans, the U.S. Rider News with a circulation exceeding hundred thousand readers just locally alone. If you are not getting the finer updates offline, then you can look for more from the official sites of the OEMs.